Kurt Busch won the Daytona 500 in February 2017 on the high banks of Daytona (Fla.) International Speedway. And, he has won at just about every other type of racetrack on the Monster Energy NASCAR Cup Series schedule. From the shortest racetrack – Martinsville (Va.) Speedway – to a road-course victory at Sonoma (Calif.) Raceway, to Daytona, Busch has found victory. He’s won on racetracks ranging in length from .526 of a mile, .533 of a mile, .75 of a mile, 1 mile, 1.5 miles, 1.99 miles and 2 miles. He’s celebrated in victory lane at the high-banked ovals and flat tracks. He even won the championship in 2004. Busch has won at 15 of the 23 racetracks on the Cup Series schedule and can now shift his focus to checking another box. He’ll head to Talladega this weekend looking to return to his winning ways by putting a check in the win column there for the first time. Busch, driver of the No. 41 Monster Energy/Haas Automation Ford Fusion for Stewart-Haas Racing (SHR), has finished third at Talladega four times – in April 2001, 2002 and 2007, and October 2006. The key point for Busch’s crew chief Billy Scott is to give his driver a good-handling racecar, while Roush-Yates Engines must give Busch a Ford engine with a lot of horsepower. And both Scott and Roush-Yates trust a key technical partner, Mobil 1, to give them a unique advantage. 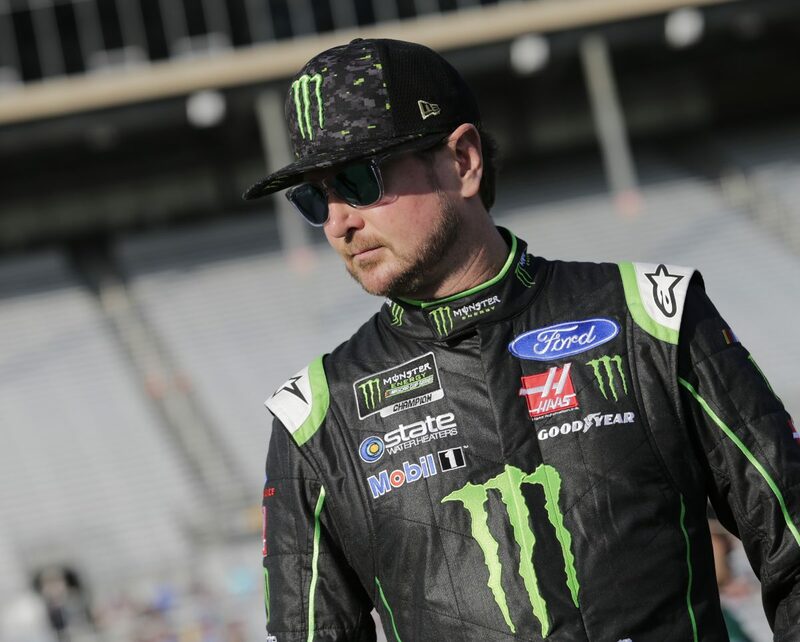 This weekend, Busch would like nothing more than to add another win to his already impressive resume and win the second restrictor-plate race his career. What are the keys to setting up a car for Talladega?